Chances are you’re very familiar with transaction fees. The concept is pretty simple. It’s that extra money you have to pay on top of the cost of your goods. That extra money that goes to the credit card company. If only it could be that simple, though. Lets take a deeper look at them. When you’re buying something from a business, the business has to pay a fee that goes to the credit card company. It’s usually a flat fee. It may not seem like much, but even if it’s 25 cents on every transaction, it can add up. That’s often the reason you can’t buy a one-dollar candy bar with a credit card at a gas station. It just doesn’t make sense for the owner of the gas station. There’s usually a minimum amount you have to spend. 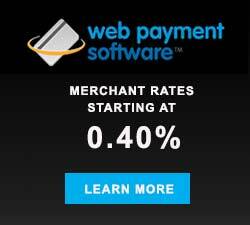 However, beginning just about one year ago (January 27th, 2013), a settlement agreement with MasterCard and Visa now allows for merchants in certain states to charge an extra fee to customers for using a credit card. It can only be up to 4 percent though. And it excludes debit cards. There are actually a number of restrictions, but basically the idea is that the business can cover the fees owed the credit card company. It’s called a “checkout fee.” It basically sounds like a win for businesses, right? Not always. First off, you can’t just slap on a checkout fee any day you feel like it. You need to let MasterCard or Visa know you’re doing it 30 days prior to it happening. Second, you need to let customers know you’re doing it, and it has to be clear. You absolutely cannot try to hide checkout fees. And third, checkout fees could shy people away from your store. If you’re a consumer, you usually won’t have to worry about transaction fees unless you’re doing some traveling abroad. As if paying for things in a foreign country isn’t enough of a hassle, you may get stuck with a small fee every time you swipe. That’s why people often find it worth it to get their currency converted over before the trip. If you ever plan to travel abroad, talk to your credit card company and find out what you’ll be charged.